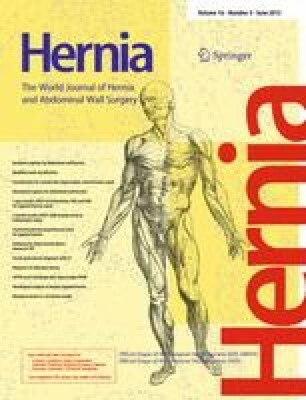 Despite the high frequency of hernia surgery procedures and continuous improvements, thanks to new hernia meshes and fixation techniques, in Germany, for example, the recurrence rate and rate of chronic inguinal pain after inguinal surgery are more than 10% far too high. Introduction of a hernia register in Denmark led to a significant reduction in the recurrence rate. The aim of a hernia registry as an application-oriented outcome research tool is to monitor and evaluate (concomitant research) how the knowledge gleaned from evidence-based science is implemented in the everyday clinical setting and, ultimately, investigate its effectiveness (outcome research). The new Internet-based English- and German-language registry for the entire spectrum of inpatient and outpatient hernia surgery is designed to improve the quality of patient care and provide valid data on outcome research. Via the Internet, all relevant patient data (comorbidities, previous operations, staging, specific surgical technique, medical devices used, perioperative complications and follow-up data) can be entered into the registry database. The participating hospitals and surgeons can at any time view their own data by means of an evaluation statistics tool. The outcome research project Herniamed focuses on inguinal hernias, umbilical hernias, incisional hernias, epigastric hernias, parastomal hernias and hiatus hernias. The online-based outcome research registry meets the most stringent data protection criteria. With the Internet-based English- and German-language hernia register, a new instrument is now available for outcome research in hernia surgery. B. Stechemesser and D. A. Jacob contributed equally to this work.